It’s most medical practice owners worst nightmare! That dreaded negative review from a patient that shows up on Google and sticks out like a sore thumb. Ouch! 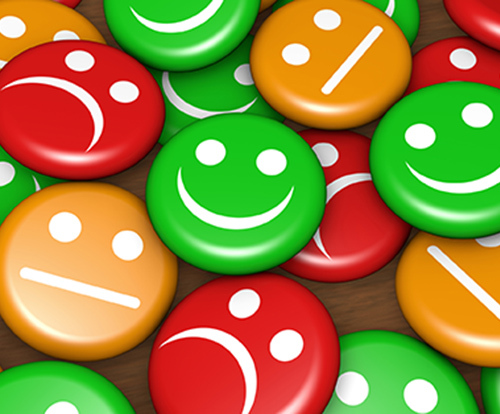 What do you do when you get a negative patient online review? Here are some guidelines for responding to negative reviews in a way that attracts new patients. Imagine, it’s Monday morning, you’ve had a relaxing weekend with the family and you walk into your office and log on to see an email from a happy patient. It says they noticed an out of control negative review on Google, just thought you’d want to know. You check it out only to find a bunch of over the top complaints from a patient who was clearly frustrated and maybe even wrote the review too late at night. And your blood starts to boil. This is when you need to avoid responding and keep the following 3 things in mind. 93.5% of patient complaints are a result of a miscommunication. Given you work with patients who are already under duress, the chances that they didn’t absorb everything you told them or that they may have forgotten to mention something to you is high. Miscommunication happens all the time. The key is to determine what the misunderstanding was and eliminate the communication gap. Don’t take complaints personally. Think of them as helpful red flags to remind you to improve your communication systems. Just because you told a patient to do XYZ, doesn’t mean they understood. See if getting patients to explain their patient care instructions back improves compliance and reduces patient problems. When you respond to a patient, don’t get defensive or mad. That’s not going to win the patient back or help you attract more patients. 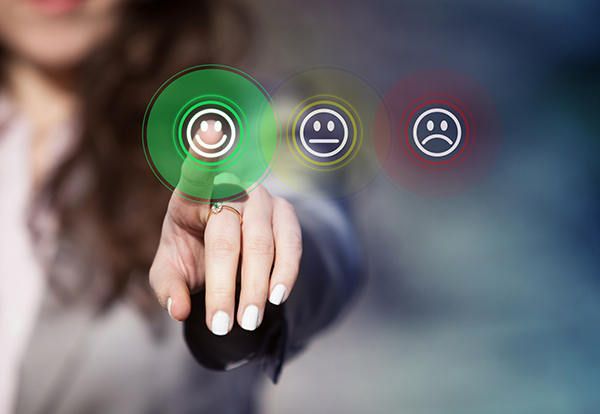 Much less, when practices allow emotions to take hold when responding to reviews, positive or negative, it’s common to disclose patient information and violate HIPAA. What’s the right way to respond to online reviews? Once you’ve taken a deep breath, waited at least 5-6 hours, it’s time to formulate a considered response. Don’t ignore negative patient reviews. Given that over 72% of people say bad reviews would prevent them from visiting a physician, a negative review or two is a big deal. Think of them as opportunities to turn an unhappy patient into a happy one. Think of them as a wake-up call to review and improve the patient experience. Put the review in perspective. 95% of the time when you get a bad patient review you should take it seriously. But on occasion, you’ll see ones that have nothing to do with the patient experience and are just all out personal attacks on a physician in your office. We’ve even seen a competitor use online reviews to attack and malign another local practice using words like Satan and the Devil and worse, despite a restraining order. If this happens to you, realize the offending person is unhinged and you need to get your lawyer involved. Don’t respond when you’re sleep deprived. Calling or writing an email back when you’re tired, sleep deprived or before you’ve had your morning cup of coffee to get all your neurons rarely goes well. Only respond when you’ve fully functioning, awake and have all the facts in front of you. Is this an isolated complaint or one that’s part of a pattern? What changes, if any, should you make? Review the patient experience. Did you provide the ultimate patient experience? Top front desk staff schedule 80% of patients that call. Others only 30%. What’s the call to appointment ratio for your front desk staff? Are they making it easy to schedule an appointment? Some medical office staff are welcoming, others treat patients as a necessary annoyance. How do your staff members treat patients? Are they friendly and professional? Most medical offices think nothing of making busy patients wait for a half hour, but the reality is this annoys the heck out of most people. What’s the average wait time in your office? A common perception is that physicians suffer from a god complex, which may work for their ego, but doesn’t go over well with patients who like doctors who demonstrate empathy. How would you rate the patient focus of your physicians? More and more physicians feel pressure to see more and more patients each day, which makes them feel rushed, and the patient feels it too. Did the physician or provider have enough time to address the patient’s concerns? Right a perceived wrong. We don’t pretend to understand the psychology behind this. But we know for a fact that if you help right a perceived wrong, the patient will be an even bigger fan of your practice than those patients who were happy with the patient experience to start with. Respond in private. Assume anything you write online or in an email is going to be seen by every existing and potential patient. Only use email to politely encourage the person to call your practice so you can resolve the situation over the phone. Respond with a phone call. Instead of hitting the reply button on Yelp or Google, start by calling the patient directly, if possible. A negative online review is essentially a signal from the patient saying, call me. When you get the patient on the phone, acknowledge their concerns and ask a redirect question to get the patient to refocus on their goals. 95% of the time the solutions is an easy one and the previously unhappy patient will be thanking you by the end of the call. Never divulge any patient information, ever! It may be tempting to fire back a response to a review, but at best it makes you look like a whiner too, or at worst you be in violation of HIPAA and lose your license to practice. Be empathetic. More often than not, a negative patient review is the result of the patient feeling powerless, or they perceive a loss of control. Some of this may have to do with what happened when they visited your practice, but their off the charts complaint most likely has to do with one or more other things going on in their life. Look at the situation from their side and understand why they complained, what you could have done differently and most importantly take the time to ask them about their situation. What’s the primary health problem you’re concerned about? What’s the primary health goal you’d like help with? Can you walk me through your visit to our practice so I can understand the situation? If you could wave a magic wand, what would have happened during your recent patient visit? Don’t say you’re sorry or apologize. Whether the patient is claiming malpractice or has a minor complaint, avoid a blanket apology. You could be setting yourself up for a lawsuit. If a mistake was made, acknowledge it, then focus on the solution. Everybody makes mistakes. The best thing to do if you or your staff made one is to just say that, “Whoops, we made a mistake. Thank you for letting us know.” Then explain how you’re going to avoid making it in the future and how you are going to resolve the patient’s concern. Let them know what’s changed. 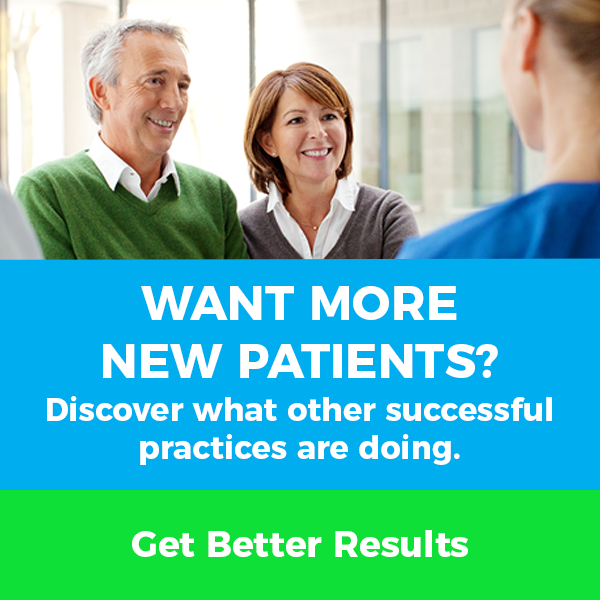 If you’ve changed anything that would impact on the patient experience, let them know. Whether it’s access to an elevator, simpler check-in system, or easier eye test procedure – tell the patient. Don’t ask them to remove their review. Asking or threatening them is not only a bad idea but can result in a $500 fine to your practice or worse. Focus instead on understanding and resolving their complaint and making them into a delighted patient. Do that and more often than not, they’ll not only remove the negative review but replace it with a positive one. Do thank them for their comments. No matter how bad a review is, or even if it seems totally off the wall, it’s a flag to let you know what can go amiss. Thank the reviewer and where possible take action to improve your systems to reduce negative feedback. Ask more patients to provide reviews. The best way to help potential patients put one negative review in perspective is to have 100s of positive reviews next to it. If you see the average of 18 patients a day, or over 2,000 patients a year, using Online Review Builder you could get 500 reviews each year. Wouldn’t it be great to have a simple system to promote positive reviews? That’s what this Online Review system does. See how it works.